The best thing you can do for the environment is to buy as little new stuff as you can. The next best thing you can do is buy products that are sustainably sourced, biodegradable, and create as little waste as possible. Use this list as a shopping list for when all your other stuff breaks or runs out – use up everything you have already first! These are super convenient, last forever, but best of all, they use far less packaging than liquid shampoo. You can store them in a tin you can purchase separately and reuse ad infinitum, or just in a soap dish. Get them from Lush starting from £7.50. 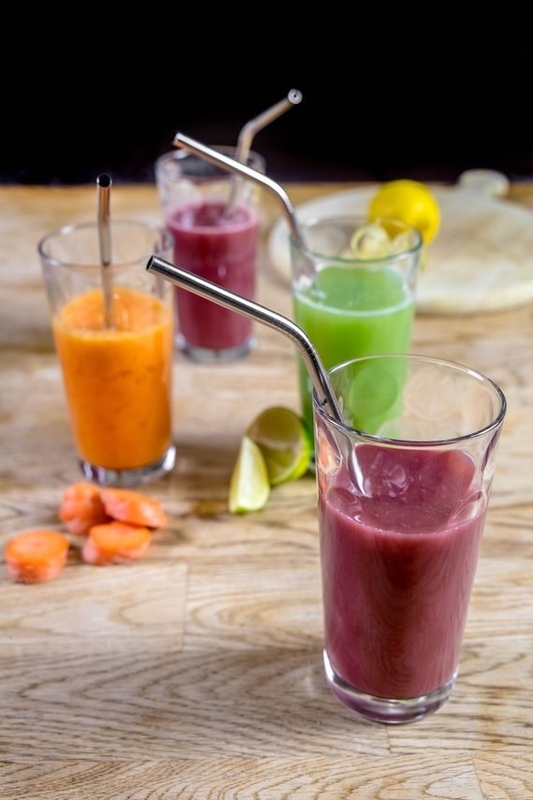 If you use straws often, do yourself a favour and keep some reusable ones with you in your bag at all times, to save creating paper and plastic waste every time you treat yourself to a smoothie. 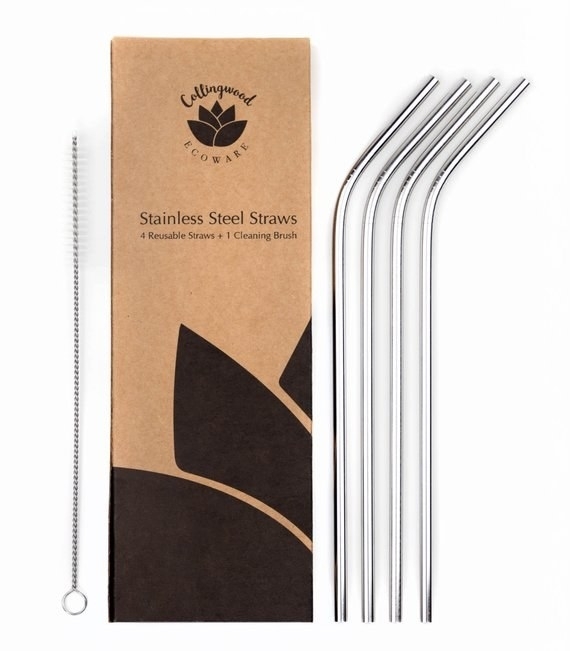 Get this set, which comes with four straws and a cleaning brush, for £7 from Etsy. Did you know that disposable coffee cups aren't recyclable? So get yourself a reusable coffee cup if you get takeout coffee often. This one is collapsible so it stores easily in your bag. Get this sustainably-made, non-plastic coffee cup for £13.95 on Amazon. If you've ever attempted a cat-eye makeup look, you most likely also went through a fair few cotton buds. Many are made of plastic and end up in landfills – stock up on these bamboo and cotton, completely biodegradable cotton buds instead. Get a pack of 100 from AndKeep for £2.25. Synthetic fibres – such as polyester – release microfibres into the water system every time we wash them, polluting our oceans. 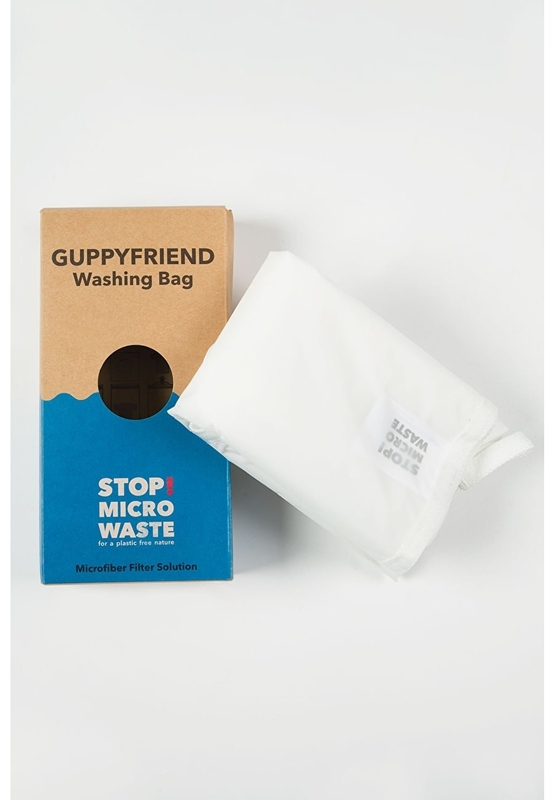 But sometimes, wearing those fibres is unavoidable, so get yourself this washing bag, created by a not-for-profit organisation determined to save our oceans. Fill it with your synthetic clothes and wash as normal, then remove the fibres from the bag and throw them away after – do not wash the bag as that will defeat the purpose. Another great side effect is that the bag will mean less microfibre shedding in general, meaning your clothes will last longer. 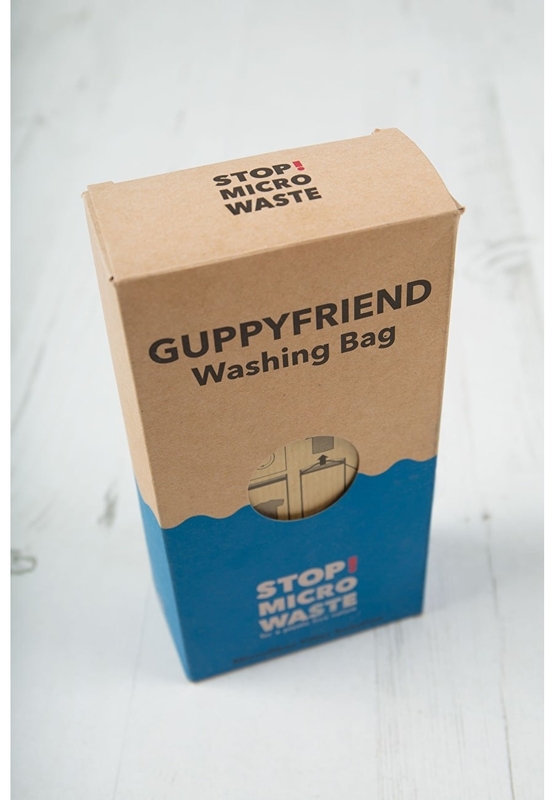 Get the GuppyFriend washing bag from Frugi for £25. 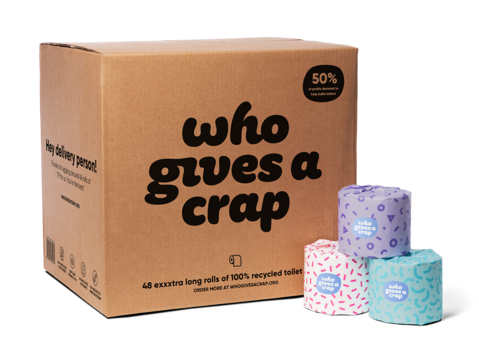 Who Gives A Crap is a subscription service that delivers recycled toilet paper packed in paper that's completely recyclable, unless most toilet paper which comes in soft plastic packaging which isn't recyclable. You can make a one-time purchase of 24 rolls of toilet paper for £24. If you need a new hairbrush, do yourself a favour and get a wooden one. It's biodegradable, but better for your hair too – wood will not cause static hair like a plastic does, meaning smoother hair for you. Get this one for £6 from AndKeep. Most washing-up sponges are made of plastic, don't last long, and end up in landfills for longer than most of us are on this planet. This sponge is made of the loofah plant, nature's literal sponge. It'll last you far longer (up to a year, and you can put it through the washing machine when it needs a refresh), and when you're finally done with it, you can even compost it! Get this washing-up pad for £2.75 from NaturalCollection. You can make your own eco-friendly cleaning products, but not all of us have the time to do so. Which is why this toilet cleaner is a great alternative; it is biodegradable, plant-based, and cruelty-free. Get it for £3 from Ocado. This anti-bacterial spray is as easy to use as your usual stuff, but it's made from natural sources with no harsh chemicals, and is certified cruelty-free and vegan. You can buy a huge bottle and refill a glass spray bottle yourself, or buy the smaller bottle that comes with it's own nozzle. Get the 5L bottle for £31.03 from There Must Be A Better Way, and a 250ml bottle for £8.03 from Amazon. This is a great investment for all those who menstruate – not only are you saving the environment from harmful waste, but a whole lot of money too! Get this menstrual cup from ASOS for £22. A moon cup isn't for everyone, and sometimes your flow isn't heavy enough to use one. In that case, get yourself some biodegradable, entirely natural pads, liners, and/or tampons. The Totm ones come only in recyclable cardboard packaging without individual plastic wrapping, creating far less waste. Get a box of liners for £3.25 from Totm. 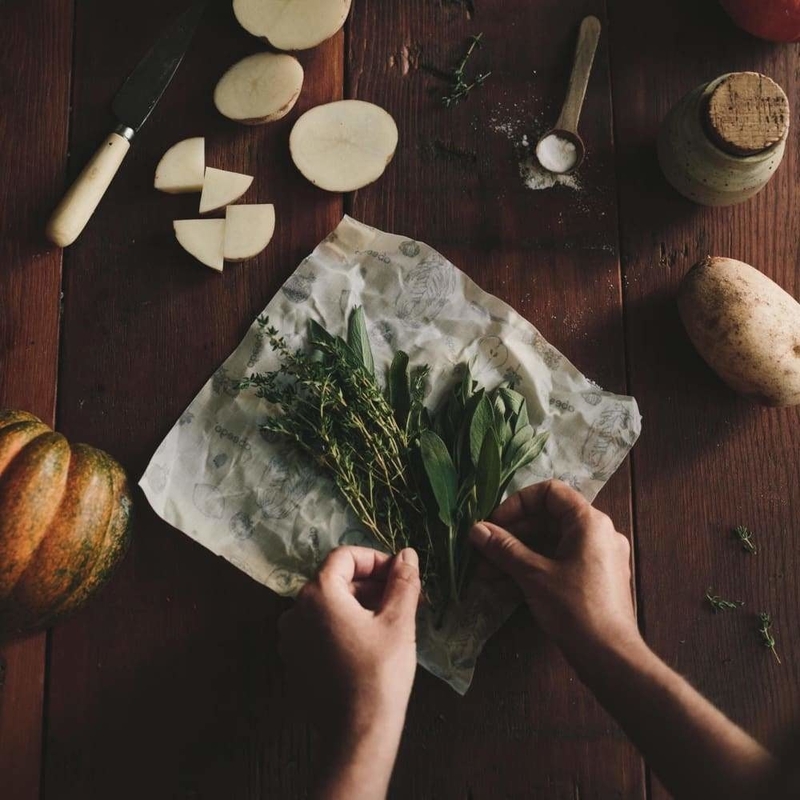 To keep your food fresh, instead of using disposable foil and clingfilm, get yourself some beeswax food wraps – they are just as effective at keeping food fresh, are reusable and last for up to a year, and are entirely compostable. Get a variety pack of different sized wraps for £14.95 from AndKeep.